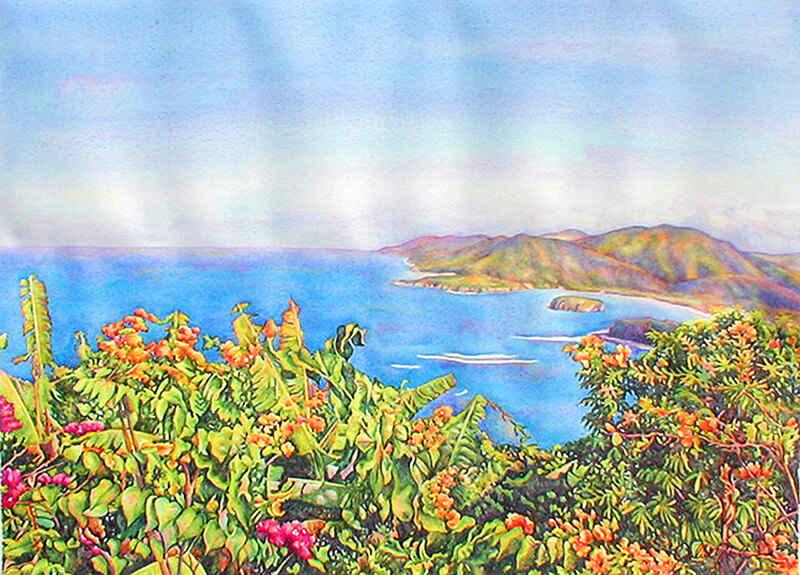 From Noel Coward’s “Firefly”, this vista of Port Maria in St. Mary, Jamaica looks east towards the Blue Mountains and captures the magic of the region. It is a paradise not only for an artist like myself but also a restful and inspiring haven for all. This is a limited edition of 250 giclée prints on watercolor paper. The original painting has been sold.